This is a stunning dress with detailing in all the right places. 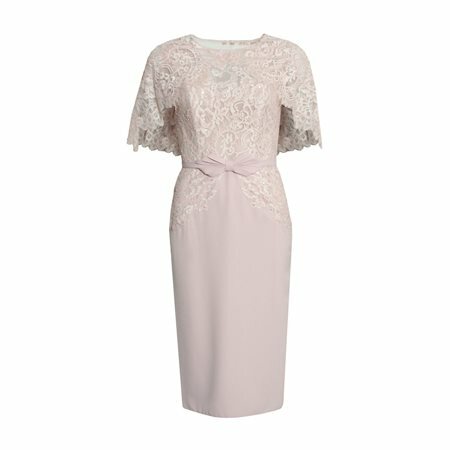 Perfect for mother of the bride/groom or for day events this dress wont disappoint. This dress has been created with a lace bodice with subtle beading and a bow feature across the waistline. This is a knee length dress and offers a sleek and sophisticated silhouette fished with a stylish laced cape overlay.